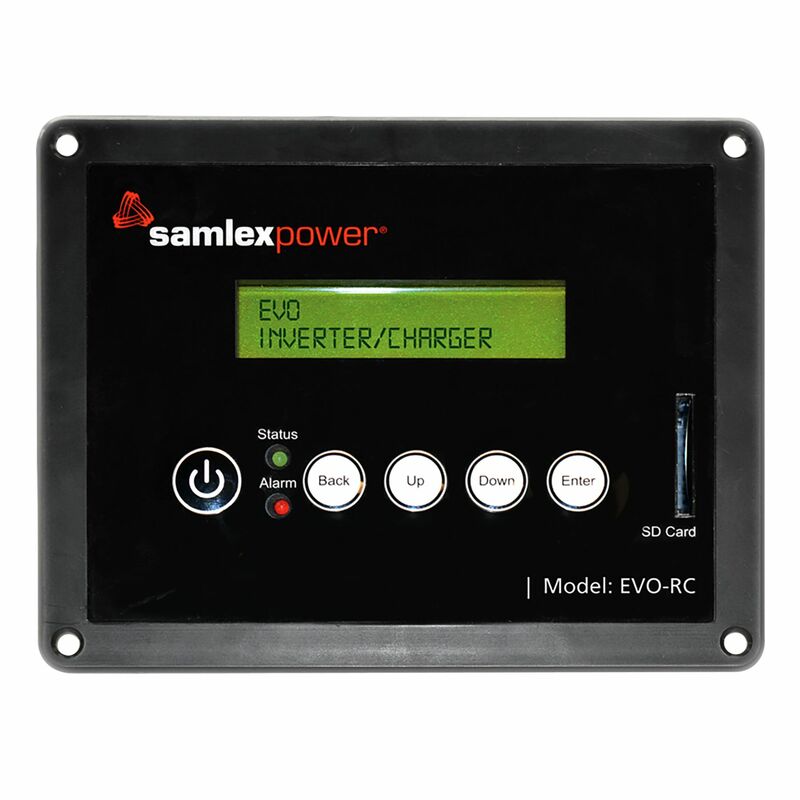 The EVO-RC is intelligent remote control designed specifically for use with Samlex Evolution Series of Inverter/Chargers. View real-time activity on the informative 32 character LDC screen while the unit is operating: Output voltage, Frequency, Amps, Watts, Volt Amps, Power Factor, Battery Voltage, Battery Current, Solar Input Current and more. Use the remote to program inverter and battery charging parameters. Save a parameter set on a removable 16GB SD Card (the SD card slot located on the remote face of the EVO-RC). Transfer saved parameters to other EVOTM inverter/chargers or insert the SD card into a computer and make parameter adjustments there. Data log historic power consumption, inverter functionality, battery charging activity, faults and all of the conditions leading up to them. Analyze trends for more efficient use of off-grid resources. Compatible with the following EVO Inverter/Chargers: EVO-2212, EVO-3012, EVO-2224, EVO-4024. Do you own the EVO-RC? Please, tell us what you think about it. It helps us provide you with better products. Please note that it may take up to 72 hours for your review to appear.